What can survive 50 feet underwater, 220 pounds of crushing pressure, 7 foot drops, and 14° F? Not just any camera, that’s what Olympus Stylus Tough TG-4. 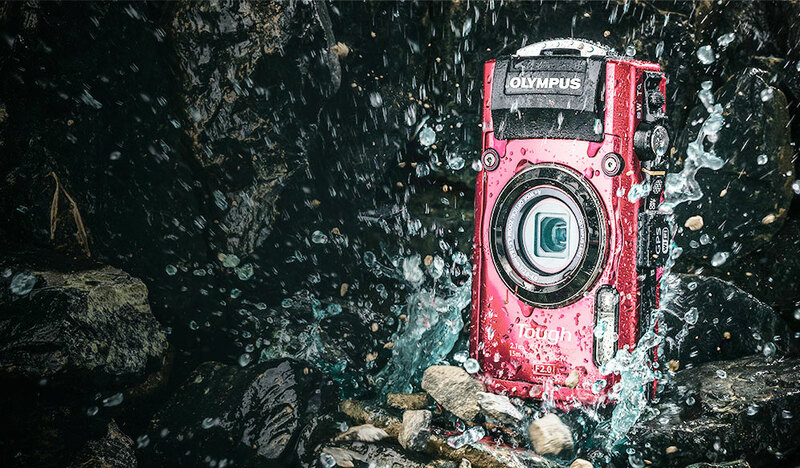 The previous camera in the Tough series was among the best of the waterproof, rugged, point-and-shoot category of cameras. The new TG-4 ups the game with a bunch of improvements, including RAW shooting, WiFi and GPS built-in, Compass, 10 frame burst mode, and more. With the WiFi you can quickly transfer your photos directly to your smartphone. This would be a great addition to your toolbox for taking some great before and after shots without worrying about messing up your camera. All this for under $400. Check out the Phoblographer’s Preview Article for more details.